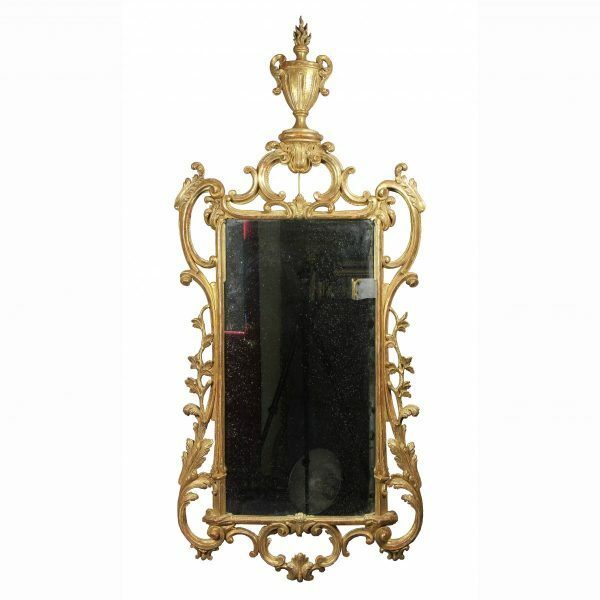 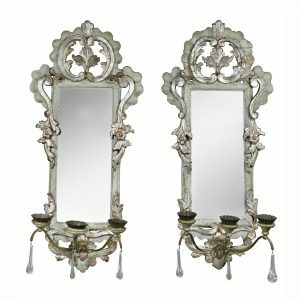 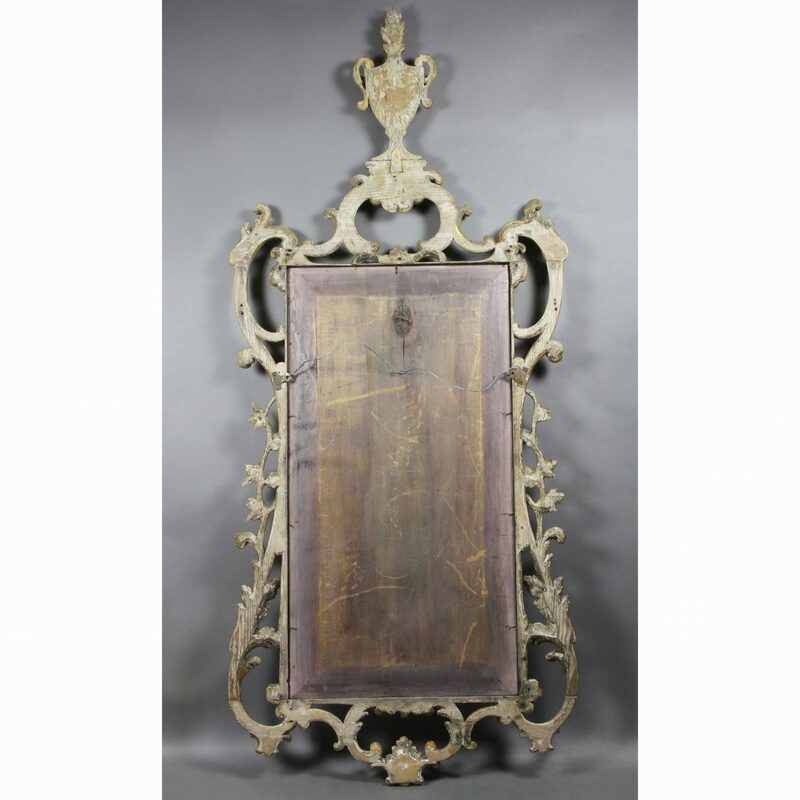 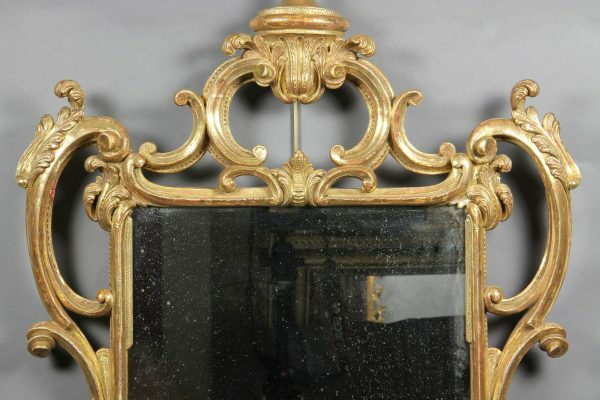 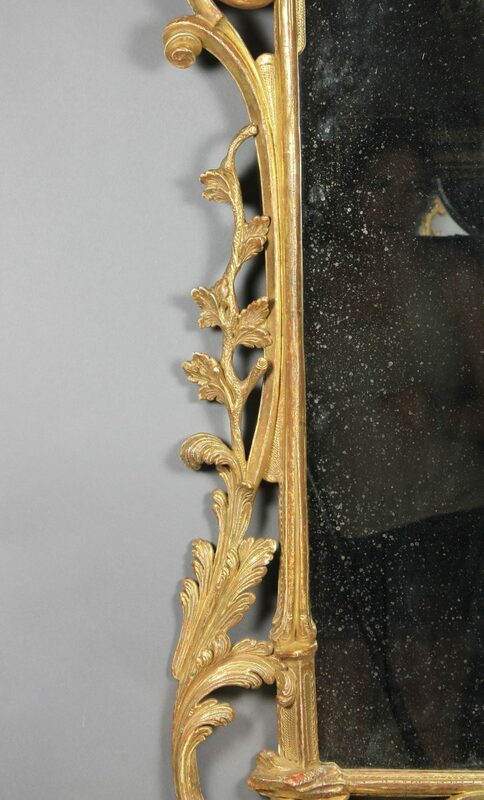 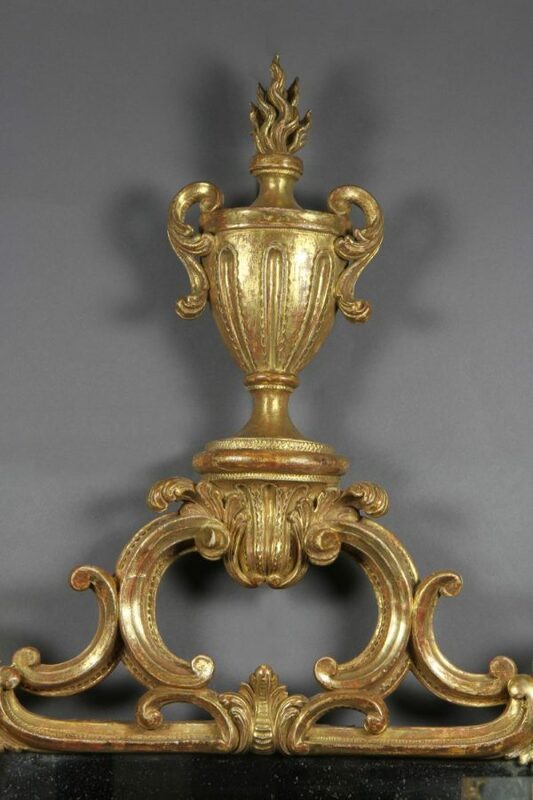 George III giltwood mirror with urn form crest above an open scroll and carved leaf frame. In good condition. 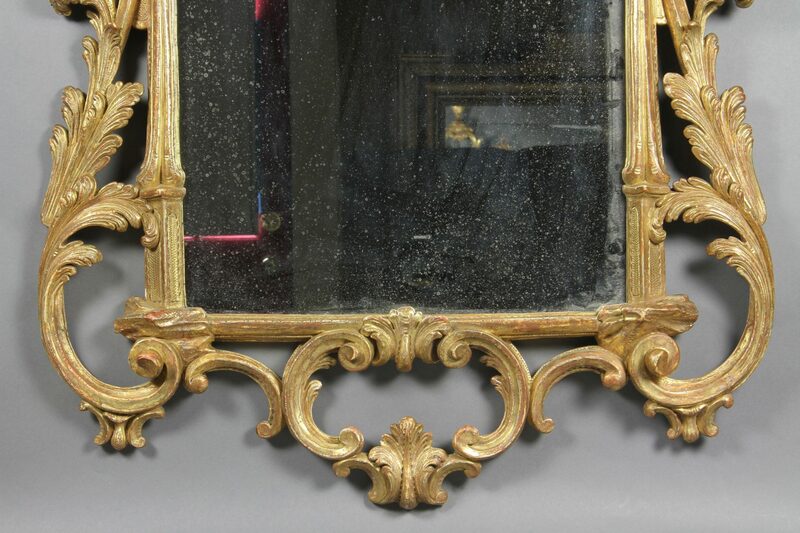 Water gilt and all touched up.